Shipping & Returns : South Shore Pizza & Subs Apollo Beach Ruskin Sun City Wimauma, South Shore Pizza delivers the freshest, best tasting, pizza and sub sandwiches in South Shore pizza! We do charge $2.50 for delivery which is not gratuity for the driver. So please remember to tip your driver for their awesome service. We guarantee you will love our food. If you do we want you to tell everyone you know how much you loved it. If for some reason you don't let us know so we can make it right. 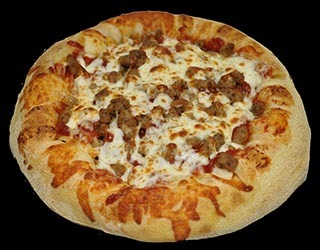 Pizza delivery and/or carryout options are available South Shore Pizza. We are located at 3026 College Ave E, a location in the Ruskin neighborhood. Just off I-75. Find pizza menus, coupons, specials, and more with our search tools that work for this pizza location. Photos, driving directions, maps, and other information is also present for this restaurant. This pizza restaurant could be one of others in theRuskin area. If you're looking for more, search using our search tools. This pizza location, which serves pizza in the 33570 zip code and the Ruskin area, also does so for other zip codes and neighborhoods in the nearby vicinity, which include 33573, 33571, 33575, 33572, 33586 and 33598 and Sun City Center, Sun City Ctr, Wimauma and Apollo Beach neighborhoods.